Every farm had one: an old, flatbed orchard truck. I learned to drive in one, a cut-down, 1940s-era laundry truck that needed to be double clutched between compound low and first gear. 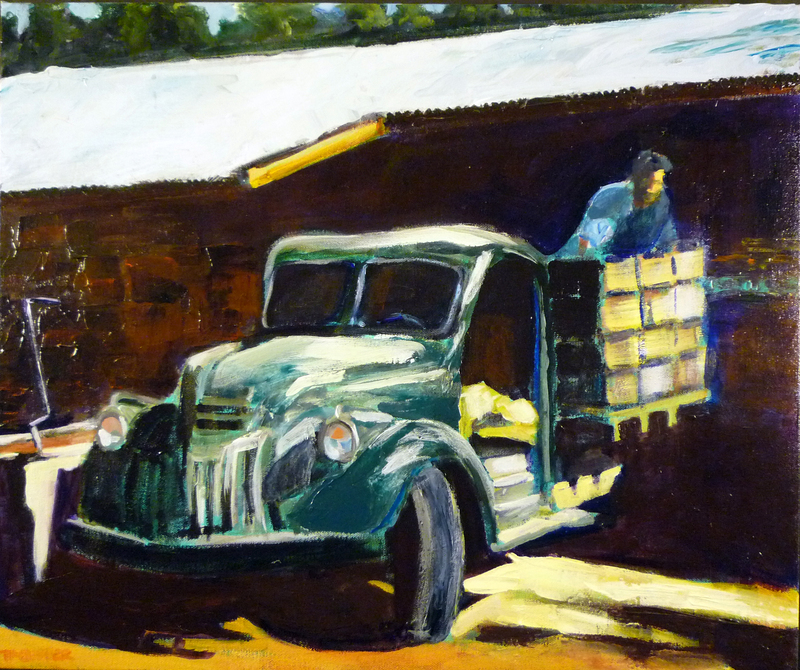 Pictured here is the Schmidt family ranch truck, with a worker unloading boxes of picked prunes at the dehydrator. Thanks, Kay, for loaning me your family photo.